The first piece I fell for was the King’s Crown Bangle, £2.75, which has a sort of princess thing going on (or looks a bit like bunting)! I was most excited for this piece out of all three, but when it showed up I was really disappointed – it’s tiny! I don’t think I have excessively big wrists, but this is very difficult to get on, and because of the triangles, nearly impossible to get off. As cute as it is, it’s just not worth the pain… I’ll be passing this on to a small-wristed friend, I think! 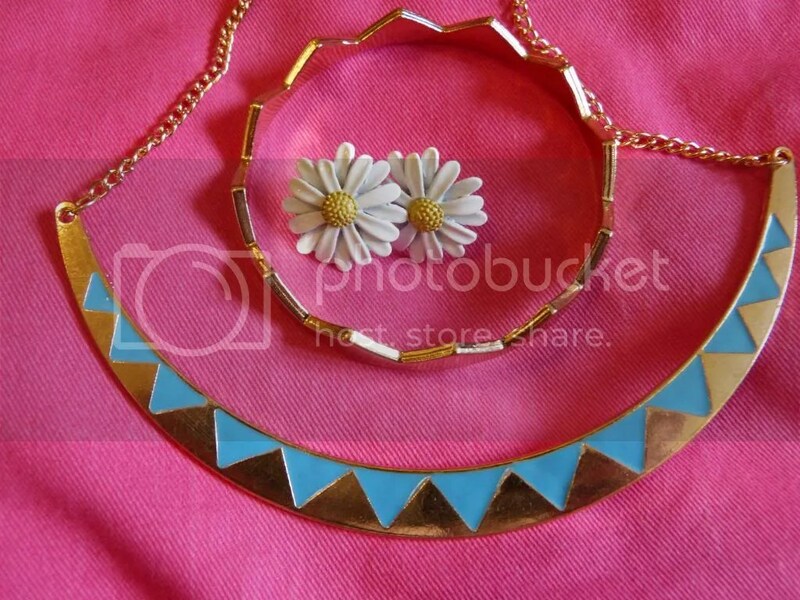 The Urban Collar, £3.50, is a very subtle take on the statement necklace. It’s a bit bunting, a bit Cleopatra, and it’s really nice, especially for that crazy low price! 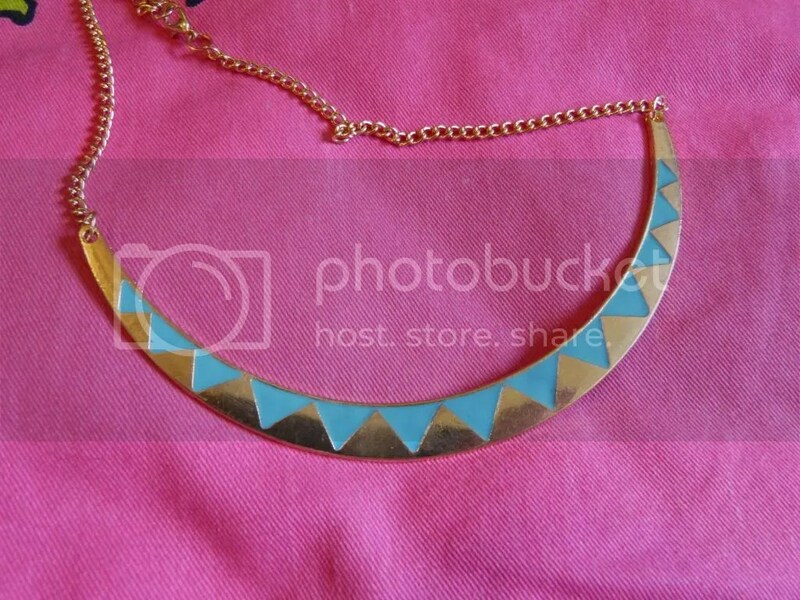 I really love the gold and turquoise, and although this is also on the small side, I like my necklaces very short, so it suits me well. 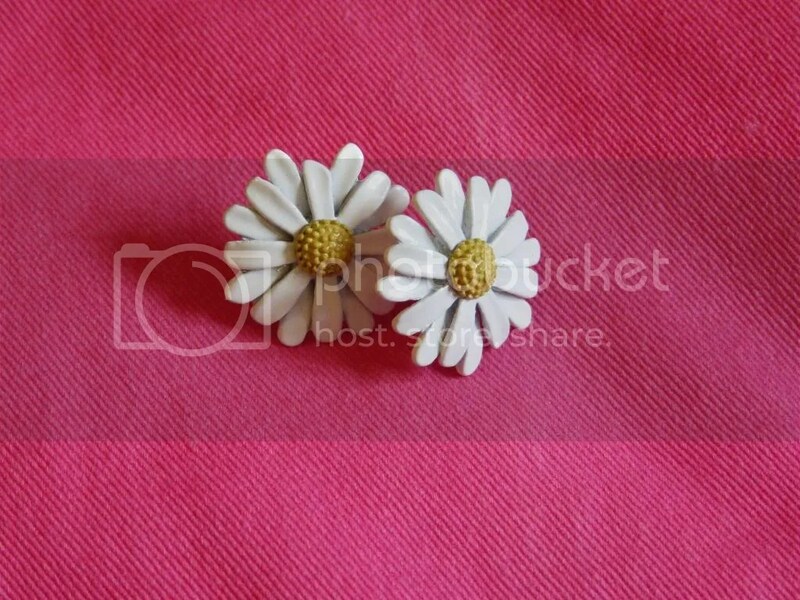 And finally, these Daisy Studs, £2! I’m a sucker for anything daisy-related in summer, and I’ve already worn these so many times. They look fantastic with my daisy dress, which is always the first thing to come out of my wardrobe when the spring sunshine shows. They’re not as great quality as the metal pieces, but they are super wearable, and would hardly be expensive to replace if they did break… I also bought a pair of these as a gift for a friend! I’m really impressed with Cherry Diva overall, although I might avoid bangles from there in the future, unless they start to do a range of sizes. Delivery time was great, and everything was beautifully packaged. 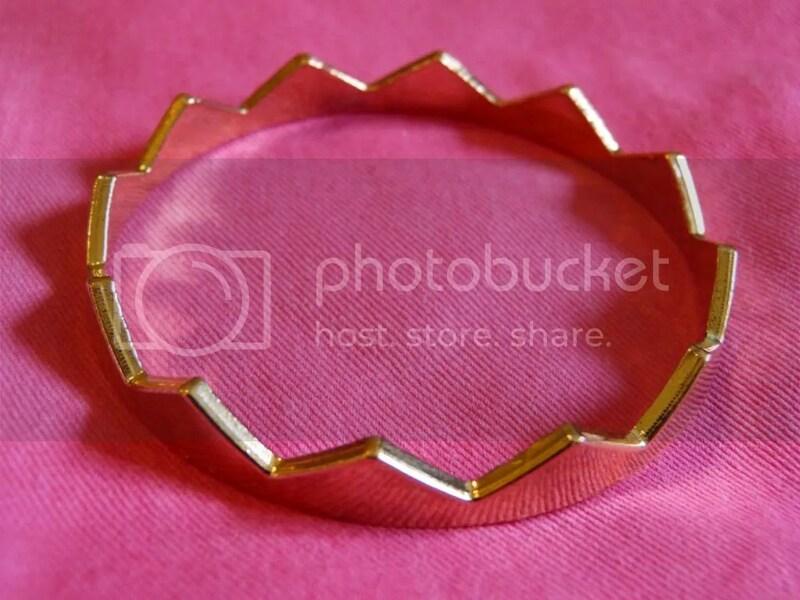 I just can’t say no to such cute summer staple accessories at such a good price! What do you think? This entry was posted in Fashion and tagged cherry diva, collar, daisy earrings, earrings, haul, jewellery, jewellery haul, jewelry, necklace, statement necklace, style. Bookmark the permalink. ← A England Dancing With Nureyev! Love the Daisy Studs, so cute for the summer .